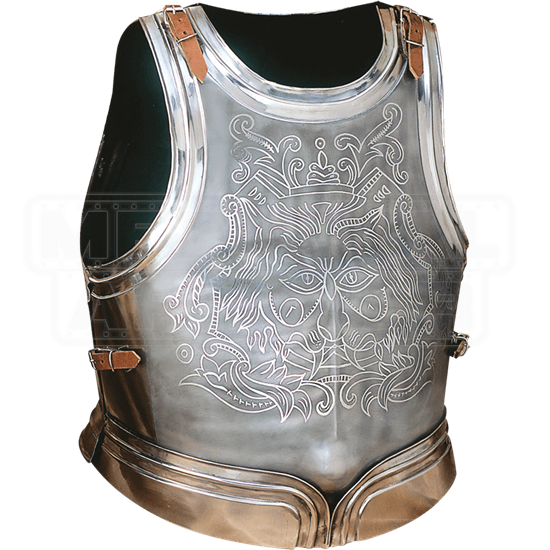 A bit of rich detailing is sometimes just the thing you need to stand out, and this Etched Medieval Cuirass offers not only solid protection for your core, but also a stunning bit of detailing that is sure to catch the eye and interest of many. This handsome breastplate is made entirely from 18 gauge steel, which ensures that it is light and comfortable, yet also rather protective in its overall design, offering suitable defense for some light combat and reenactment, as well as defense in LARPing events, yet still being light enough to stand as armor worn purely for its look. The breastplate is richly engraved, depicting a stylized and heraldic lion across its chest, as well as featuring accent touches like leaf and florate patterns. The breastplate includes a matched backplate, and the pair is worn via attached leather straps, which secure the armor about the torso with ease. The armor is offered in one size, and given its 18 gauge steel construction, it can be gently bent (although repeated bending should be avoided) to adjust its sizing and make for a more comfortable fit. 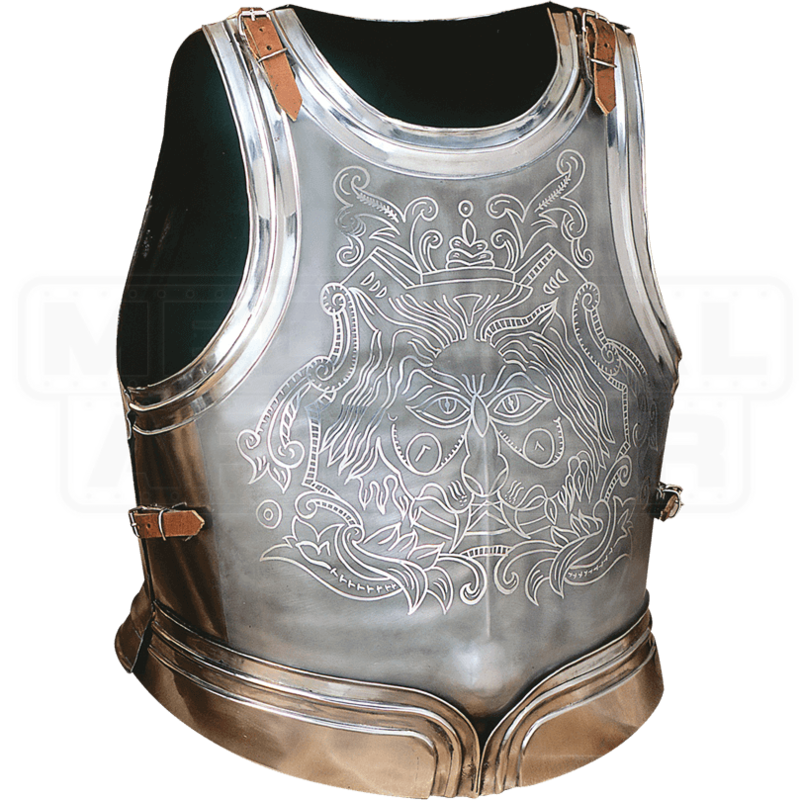 The silver-steel gleam and the rich detailing make this Etched Medieval Cuirass a piece of armor fit for a king, as well as great armor for any noble knight to wear when they want to make a good impression, too. One size fits most. Fits up to a 47 Inch Chest.